Advocate Subrata Dey has been practicing and handling cases independently with a result oriented approach, both professionally and ethically and has now acquired over 25 years of professional experience in providing legal consultancy and advisory services. 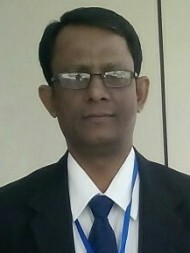 Advocate Subrata Dey's office is in Raiganj Uttar Duenajpur, Kolkata. Questions Answered by Advocate Subrata Dey Never consummated marriage for 2 years, wanted a way out from this Can a person charged under section 304 leave city multiple times?